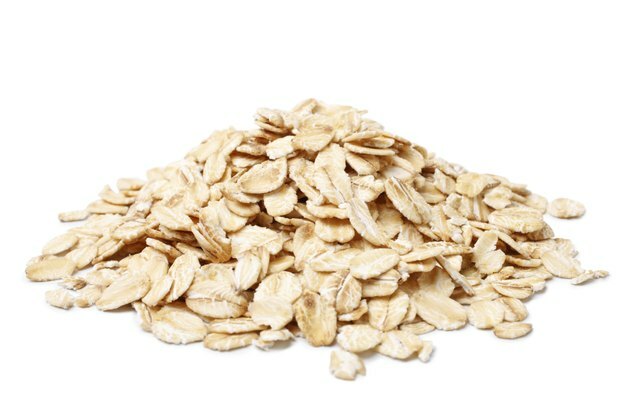 Oatmeal is a nutritious breakfast, with each 3/4-cup serving or prepared packet providing about 12 percent of the daily value for fiber along with significant amounts of magnesium, phosphorus, zinc, manganese and selenium. Surprisingly, instant, quick, regular rolled oats and steel-cut oats provide about the same nutrition per serving. Instant oats may be the easiest to digest, however. Oatmeal is generally considered an easy food to digest. In fact, it's sometimes allowed on a full liquid diet and diets for gastrointestinal discomfort. The soluble fiber it contains helps form stools and isn't as likely as insoluble fiber -- found in whole-wheat foods -- to cause gastrointestinal issues such as gas or diarrhea. Instant oats are more processed than the other types of oatmeal, making them easier for your body to digest quickly. This isn't always a good thing, as it also means instant oats have a higher glycemic index than regular rolled oats or steel-cut oats. Foods with a higher glycemic index affect blood sugar levels more than those with a lower glycemic index, which isn't good for those with diabetes. Soaking grains such as oatmeal overnight or slow-cooking them can make them easier to digest. For oatmeal other than instant, cooking oatmeal for longer, pureeing it or using a food processor to break it into smaller pieces before cooking it can make it easier for your body to digest quickly. Remember, however, that the faster you digest a food, the sooner you'll feel hungry again. If you're not used to eating a lot of fiber and suddenly increase your fiber intake by eating more fiber-rich foods such as oatmeal, it can cause some digestive effects, including constipation, abdominal pain and bloating. Make sure to build up your fiber intake gradually and do the same with your fluid consumption to avoid these potential side effects. Nutrition Diva: Are Steel Cut Oats Healthier? Does Oatmeal Irritate Your Stomach?